this Friday, Dec. 7, from 5 to 8 p.m.! I’ll also be open a couple of days next week, or get in touch to set up a time to pop in the studio. 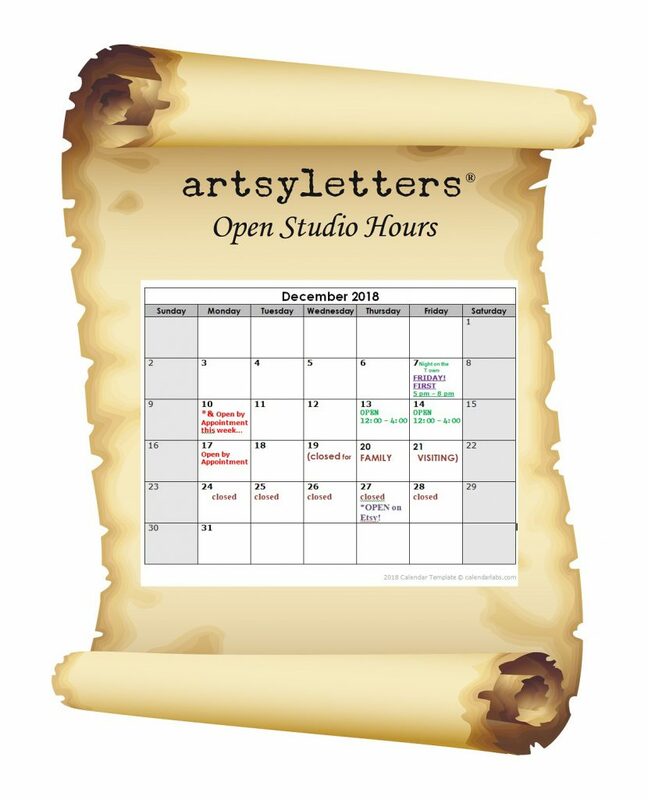 My Etsy shop is open 24/7 – :0) Keep in mind the last artsyletters sleigh will depart on Dec. 19 – please get orders in before that date. Thank you!